Head Start has a remarkable history. In his 1964 State of the Union Address, President Lyndon B. Johnson announced an ambitious plan to fight poverty. Because children made up over half of the nation’s poor, a centerpiece of this plan was to give every child in America a head start as a way to break the cycle of poverty. Over 50 years later and with 32 million children served, Head Start continues this crucial mission for our nation’s most vulnerable children. They continue to lead the way in addressing the comprehensive needs of families. From the start, Head Start recognized the power of families and schools working together to change the trajectory of student outcomes. In line with that tradition of empowering families, the new 2016 Head Start Performance Standards includes a requirement that Head Start agencies “offer opportunities for parents to participate in a research-based parenting curriculum”. Parents are busier than ever and educators across the country continue to report that time and transportation are barriers to deeper parent engagement. If your parenting curriculum still requires parents to show up for meetings, events, or classes, it is likely that you are leaving many parents behind. And in our increasingly diverse communities, is your parenting curriculum accessible in languages other than English? Can a parent who struggles with literacy still learn from your resources or are they dependent on workbooks and other print media to communicate the lessons? Two-way communication is crucial to deep family engagement. Feedback is important in order to ascertain whether a particular resource is connecting with that family. But more importantly, a well-considered feedback loop allows the educators to get a rare glimpse into the interactions between children and their parents. Studies show that over 85% of parents of young children have smart phones. In fact, for many lower income families, the smart phone is the main connection to the internet. With rapid changes in mobile technology, social media, and video technology, young families are primarily getting their information through new technology. Does your parenting curriculum take advantage of this fact or is it still relying on a means of reaching parents that is outdated? Because every child is different, the needs of their families are different. A solid parenting curriculum should be nimble and customizable so as to easily align with your curriculum, your programs and initiatives, and the needs that may arise for particular families or classes of students. Every Head Start sets strategic academic goals based on the Head Start Early Learning Outcomes Framework. Instead of giving good, but random ideas/ tips for families, it is much more powerful for families to understand that their efforts in their child’s life are directly contributing to these targeted goals. Does your parenting curriculum help parents understand Approaches to Learning, Logic and Reasoning, Social Emotional Development, Literacy and Communication, Mathematic Skills, and more? Early childhood teachers are already busy and often overwhelmed by new initiatives, programs, and policies. Your parenting curriculum should easily integrate with your existing efforts. Instead of creating new initiatives, events, or programs, your resource should be such that it can be used in conjunction with existing family nights, parent/teacher conferences, and other efforts already in place to reach your families. Studies increasingly show the power and impact dads have when they are engaged and inspired. Does your parenting curriculum have specific strategies for engaging fathers? There’s no one at your school that the parents trust more than their child’s teacher. The connection is natural, ongoing, and effective. Too many parenting resources are disconnected from what is actually happening in the classroom and assume the teacher is sitting on the sidelines when it comes to equipping parents. But what if the teacher was central to your parenting curriculum strategies? Parents have everything it takes to be their child’s first and best teacher. But too often, their lack of confidence and lack of experiences keeps them from engaging in a more meaningful way. Does your parenting curriculum demystify what it means for parents to educate their children in a way that inspires hope and builds confidence? Does it give specific, simple, everyday activities that parents can do with their child? Families have immediate and felt needs and questions about their roles as parents. Questions arise on a daily basis like: How do I handle this tantrum? How do I handle my children fighting with each other? How can I help my child learn the things they need to know? Does your parent curriculum address what your families want to know in addition to what they need to know? Does your parenting curriculum give you essential data insights into who is using the resource and how often? The ability to understand user and usage data is crucial for reporting impact and outcomes. At ReadyRosie, we work with schools and programs across the nation to help them rethink their parent empowerment strategies. Go here to see how ReadyRosie stacks up against these 11 Essential Components of a Parent Curriculum. 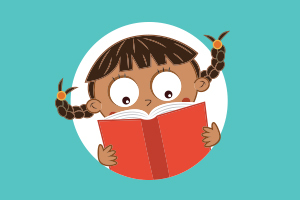 And to learn more about how ReadyRosie can support your Head Start goals, including how our content supports the new Head Start Performance Standards, check out our ReadyRosie Head Start website.